Norwegian band Motorpsycho has been around the alternative rock scene for quite some years and steadily keeps making records. In the meantime they have built up an impressive discography, which is full of quality work. The two members of the first hour, Bent Sæther and Hans Magnus Ryan, are accompanied by drummer Kenneth Kapstad, after Håkon Gebhardt left the band after many years. The group from Trondheim may have never really made it big commercially, but they managed to gather a loyal fan base around them. It's never a question if a new Motorpsycho record is any good, just how good it is. Since the mix of metal, psychedelic rock, prog rock, combined with some jazz influences, is always of a high standard and never disappoints. The differences in quality between albums are therefore in the smaller details. Now and then the band can lose itself in too lengthy jams or make it too hard for the listener. 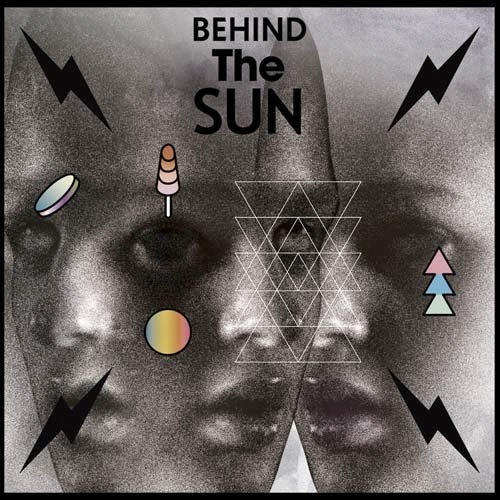 Behind The Sun is nicely balanced though and therefore a very nice Motorpsycho release. Right from opening track 'Cloudwalker' on, there's a lot to enjoy in a tornado of beautiful guitar eruptions and sparkling drums. The nine songs are diverse and full of adventure. In 'Kvæstor' there's an incidental drum solo, that has been built into the song in such an inventive way, that it fits in naturally. It's one of the strong points of the band that it's able to make complex parts sound simple. Halfway we find the more than twelve minutes long triptych 'Hell. part 4-6', the follow up to 'Hell part 1-3' of predecessor Still Life with Eggplant. It starts off with strings and then slowly unfolds itself until halfway it comes to a sudden stop in a kind of soundscape, and eventually ends in a long jam. It's characteristic for Motorpsycho, who like to send out their listeners onto an adventure. Behind The Sun is a nicely layered record, that needs time to fully sink in, but then reveals its beauty. The vinyl version has two additional tracks that are "cut in parallel": depending on how you put the needle on record, one of the two tracks will be played. It's a nice little extra for fans of the black gold. But in the music itself you will find plenty of inventiveness in case you don't have a record player and want to listen to the CD or a stream. Listen to 'Behind The Sun' on Spotify.